Looking for a new go-to tote for your daily errands? 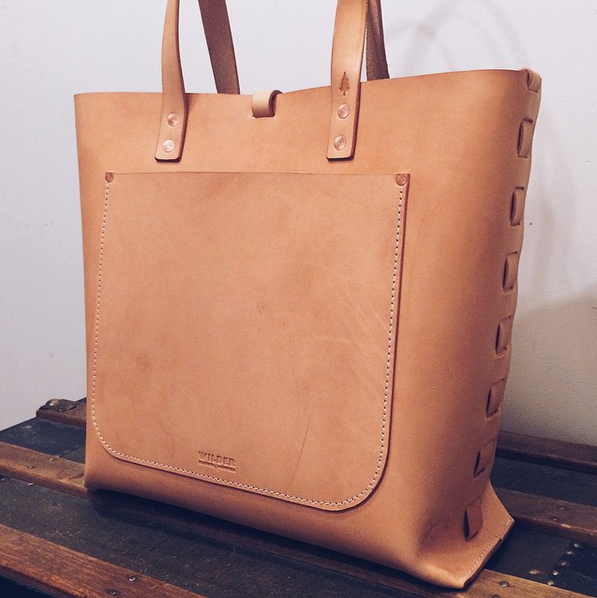 Wilder Goods makes a gorgeous leather woven tote to add to your handbag collection. Made with a single piece of vegetable tanned leather, the tote is hand stitched and woven. Featuring a front pocket and brass button studs, it also ages gracefully and beautifully, turning a darker colour and becoming more supple. Made in small batches in Winnipeg, Manitoba.